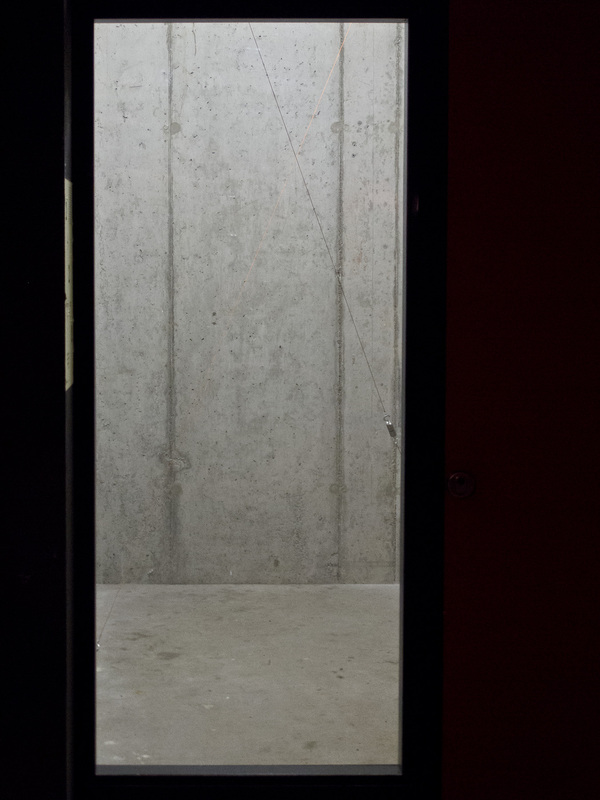 Camila Sposati’s installation for die raum “inscribes” two precise diagonals in the space. 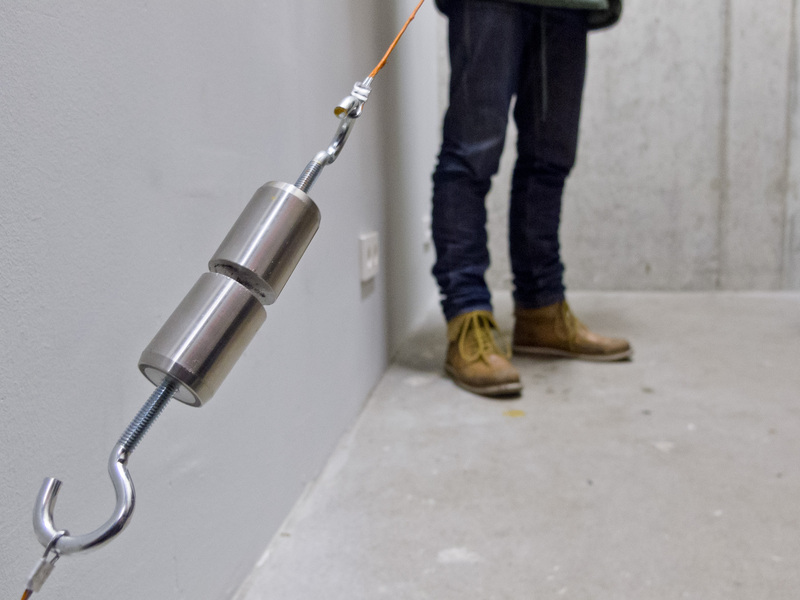 Four magnets, attached to four ropes from four corners of the room, are held suspended in the air due to the creation of a magnetic field. 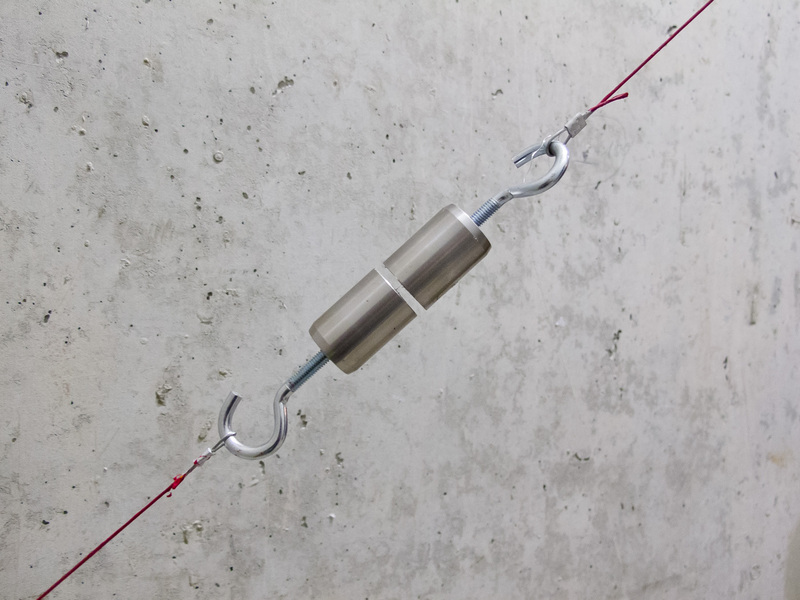 The del­i­cate balance act demonstrates the maximum distance between the magnets holding each other in check, thus visualizing the limits of power of attraction. 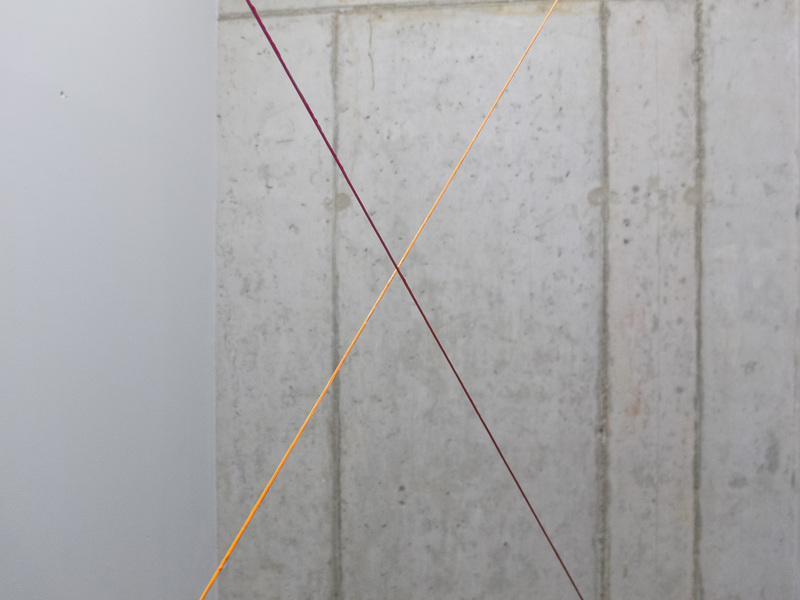 The magnetic power play of brightly coloured ropes not only divides or per­fo­rates the space but adds an invisible dimension of energy to the room which goes beyond its physical boundaries — reaching as far as the poles of the earth for that matter. As in her smoke performances and growing of crystal sculptures Sposati is negotiating the power and rigid physical laws of the material, creating a moment of balance as the elements are put into play. 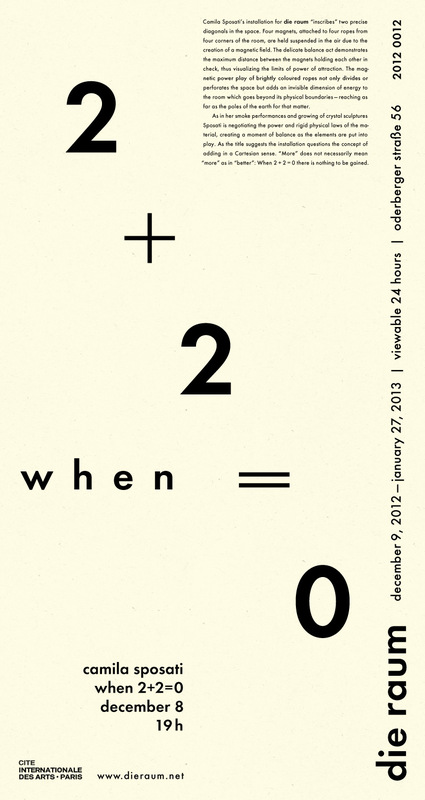 As the title suggests the installation questions the concept of adding in a Cartesian sense. “More” does not necessarily mean “more” as in “better”: When 2 + 2 = 0 there is nothing to be gained.